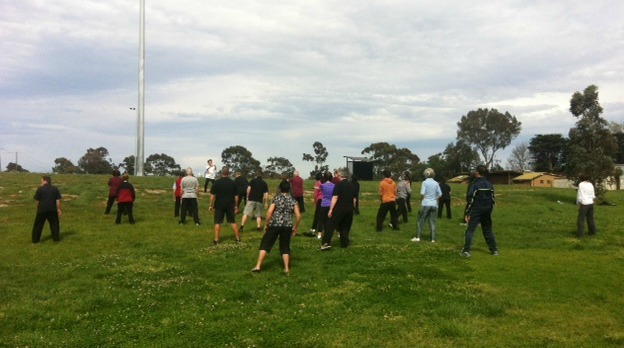 I decided to take a free Tai Chi class on the morning after the night before. Cycling there probably my third mistake. My second was not getting enough sleep. I don’t know what it is but the older I get the more concerned I am about getting exactly 8 hours sleep, (or at least 7.5). Even if I feel fine when I wake up on less hours sleep I am convinced that I will become tired at any given moment. My first mistake was too many mojitos the night before. My first thought when I arrived at the class in the park was ‘I am the youngest person here’, which is quite fitting as this is a post about completing a list of new things before I turn 26 in order to make me feel better about getting older. My second thought was that it was a really beautiful day. It really was quite lovely. The class was taught by an elderly, Asian man who had remarkable balance and poise putting everyone, especially me who was about 40 years younger than him, to shame. 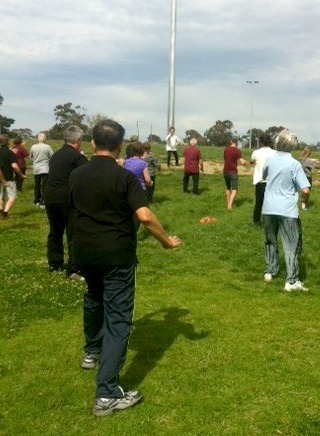 I found Tai chi very slow, and perhaps if I was not hungover I would have enjoyed it more and found it more relaxing. But all I could focus on was how tired I was and how much of a headache I had and how it was getting pretty damn hot. I ended up staying for most of the class but called it a day when they started on level 4 Tai Chi, which required more focus than I could muster to remember the sequence of movements. Would I give Tai Chi another go? Yeah, why not. Would I do Tai Chi on a hangover? Nooo. 12 down, almost half way there!